If you’re a regular reader here, I’m sure you saw this one coming! 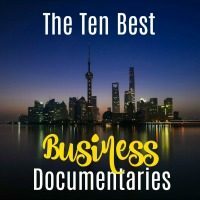 As a documentary fanatic and personal finance fanatic, there just had to be a list of amazing business documentaries. Because those are the best! Most of the documentaries on this list are at the top of my all-time favorites list and quite a few of them are brand new, which makes them even better. 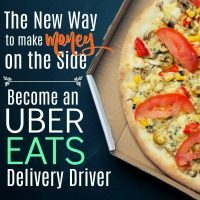 Not only will you learn from these, but most will also keep you on the edge of your seat! Ok, now to the good stuff….Happy Watching!! 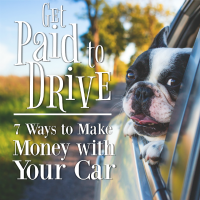 If you’d like more tips on saving money, making money, getting out of debt, and reaching early retirement, subscribe to my Financial Freedom Mailing List for notification when new posts are published. 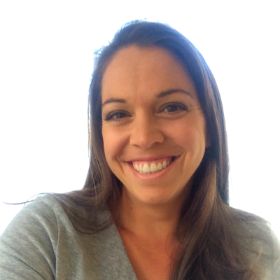 Or, if you want to receive notification for all new posts from MBAsahm, join my Main Mailing List and receive tips on living a fulfilled life, parenting, and raising happy kids in addition to achieving financial freedom. I hope you enjoy everything you read! Thanks for your time! I know what you are thinking: “Wow, Nikki. You guys must really have a lot of fun in your house. Budgeting date night. What a blast.” And I get it. Budgeting gets a bad wrap. It’s boring, restrictive, and uncomfortable. Unless, of course, you make it fun, empowering, and inspiring. 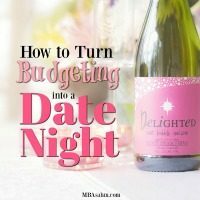 Then, budgeting takes on a whole new life and becomes PERFECT for a date night. THAT is what we do in our house. We’ve turned budgeting into something we look forward to. It motivates and excites us. We love it so much that we do it to relieve stress and relax. If we haven’t seen each other in a while and want to reconnect, we have a budgeting date night. 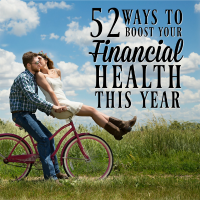 It makes us financially stronger, it helps to visualize our dreams and set goals, and every time we have one of our date nights we’re one step closer to getting to our ultimate goal of financial freedom and early retirement. Want to find out the best alternatives to Cable TV so you can save a boatload of money and still see all your favorite shows? It’s easier than you think. 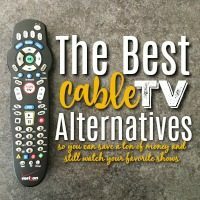 This post lays out exactly how to watch TV without cable and lists the best cable alternatives that are currently available. 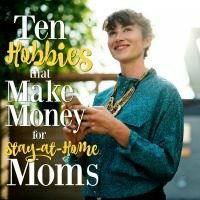 In my pursuit to be financially free, I’ve cut out a lot of things – pedicures, travel, shopping trips, restaurants, gym memberships, new clothes, etc. If it’s an expense, I’ve either cut it, or considered it. So obviously cable had to be put on the chopping block eventually. What I didn’t realize was that by cutting the cable, I’d actually open myself up to watching way more TV (with no commercials) and save a boatload of money. So what’s the trick to cutting your cable bill without giving up your late night source of entertainment?